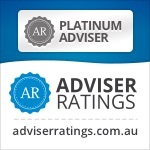 According to new research released by Mercer, superannuation fund members who obtain advice are twice as likely to make additional contributions,. They consider retaining insurance in a separate fund to save fees or transfer the cover rather than simply letting it lapse on rollover. They are more likely to have multiple pensions segregating tax free amounts for estate planning. They are focused on maximising the potential of the concessionally tax structure by investing in high yield and highly franked investments. They are more likely to adjust their portfolios tactically to take advantage of the change in market cycles. They are more focused on getting the best rate for their cash and fixed interest investments rather than accepting the offer from the current provider. They can learn the benefits of recontribution strategies for Estate Planning. 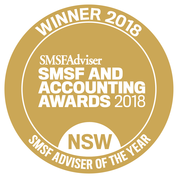 So if you have an SMSF or indeed a retail or industry superannuation fund go and take some advice as it opens your eyes to the potential strategies available to you no matter your age, assets or experience. For those who have benefited from advice or are advisors, I challenge you to add other benefits to this list (leave a comment) so others can learn. Feedback always appreciated. Please reblog, retweet, put on your Facebook page etc to make sure we get the news out there to seek advice. I already have my SMSF and now I am increasing the monthly amount, and even thinking of in Property Investment.